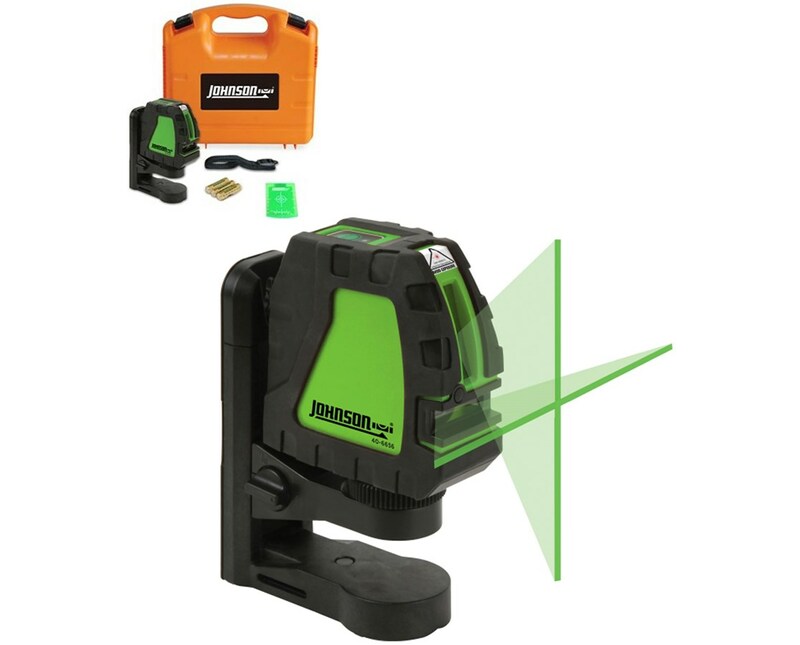 Featuring Johnson’s GreenBrite technology, the Johnson Self Leveling Cross-Line Laser is now 400% more visible than the red beam. It projects one horizontal, one vertical or cross-line beam separately or simultaneously. It comes with a multi-functional elevating magnetic bracket with rare earth magnets for use on walls, metallic surfaces or tripod. While on the bracket, the laser can be raised or lowered 2-1/2 inches and rotate 360 degrees. It also features a visual out-of-level indicator when beyond leveling range. 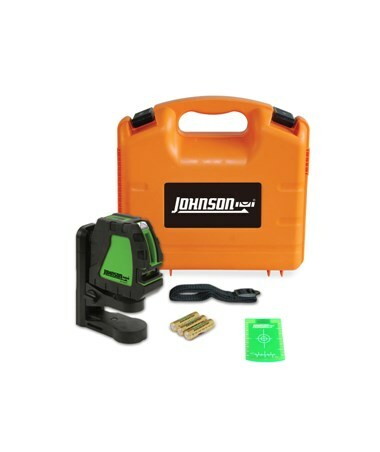 This Johnson Self-Leveling Cross-Line Laser with GreenBrite Technology has a working range of up to 200 feet. It has an accuracy of up to ±1/8 inches at 35 feet and self-leveling within ±3 degrees. This laser is protected against dust and water splashes with its IP-55 rating. 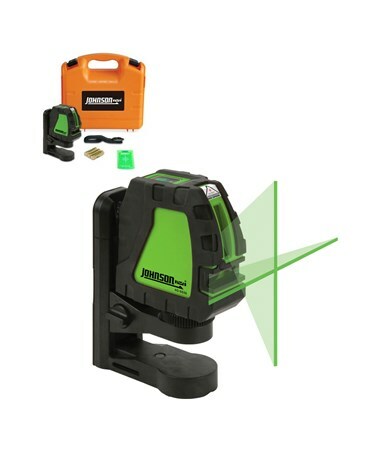 This laser includes a multi-functional elevating magnetic bracket, mounting strap, three "AA" alkaline batteries, instruction manual, soft-sided pouch. It also comes with a 3-year warranty. ±1/8 inches at 35 ft.